I know that these wreaths are not new, but this is the first time I have attempted to make one. 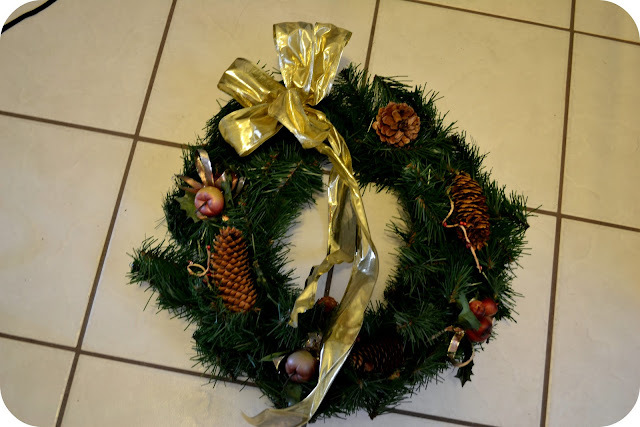 I was so tired at looking at our old wreath that we had used for years. Sooo, I did what anyone would do. 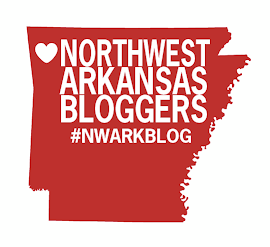 I went to Hobby Lobby to pick up some red deco mesh and some glittery ornaments! 1. 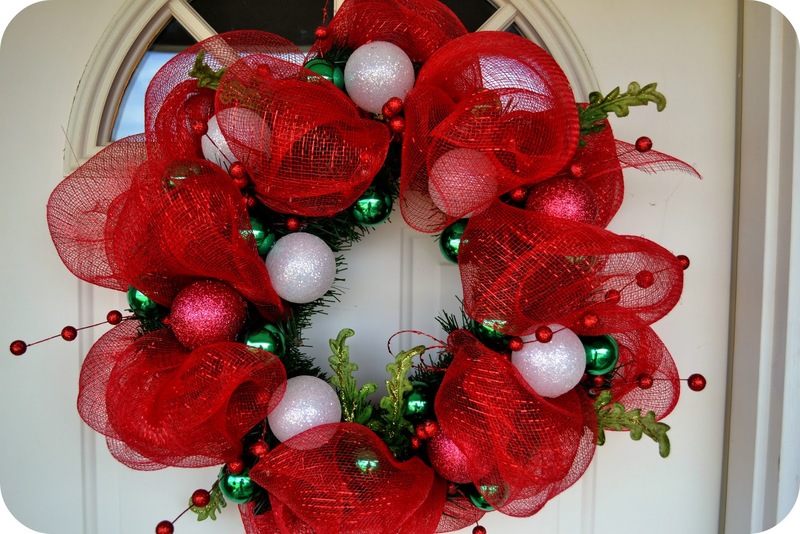 I stripped the old wreath of all the stuff on it. 2. 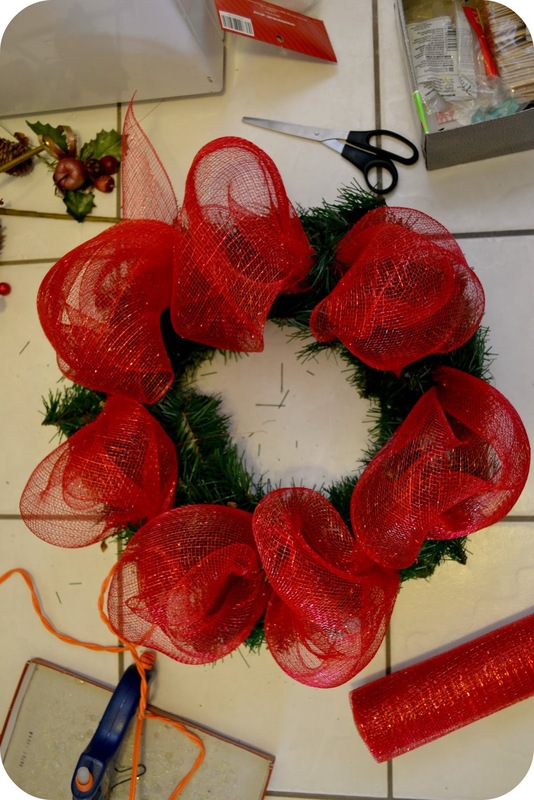 Next, I rolled out a bunch of the deco mesh and then bunched up one end and twisted it secure with a branch of the wreath. 3. 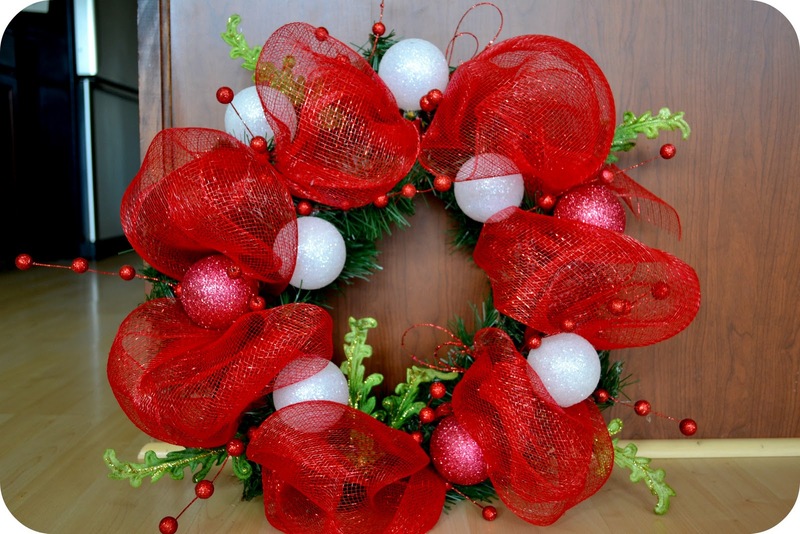 Then you "pouf" up the deco mesh and secure the next part with a branch of the wreath. You continue to do this all the way around the wreath. 4. I fired up my hot glue gun and glued the glittery ornaments on the wreath. 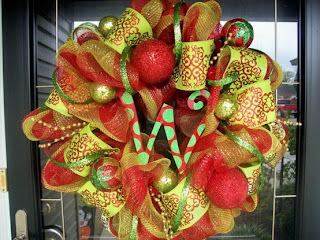 I also had some red glittery sticks with balls on them and some decorative leaves that I glued into it as well. 5. I could have stopped there, but then I decided to use some small green glass ornaments that I had. I also added another set of deco mesh "poufs" sort of in the back/top of the wreath. So, what do you think? Do you like the way it turned out? Have you ever made a deco mesh wreath? You did AWESOME!!!!! I'm totally not crafty enough to do this. Well, I haven't actually tried lol! I Like! I may have to try it also! You totally should Deedra, it was so easy! Thanks for this. 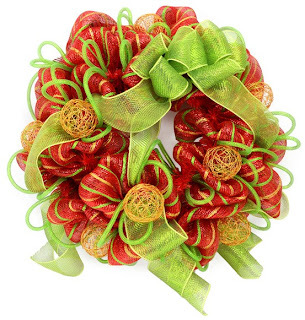 I've been looking for the wire wreath to make one with the deco mesh. 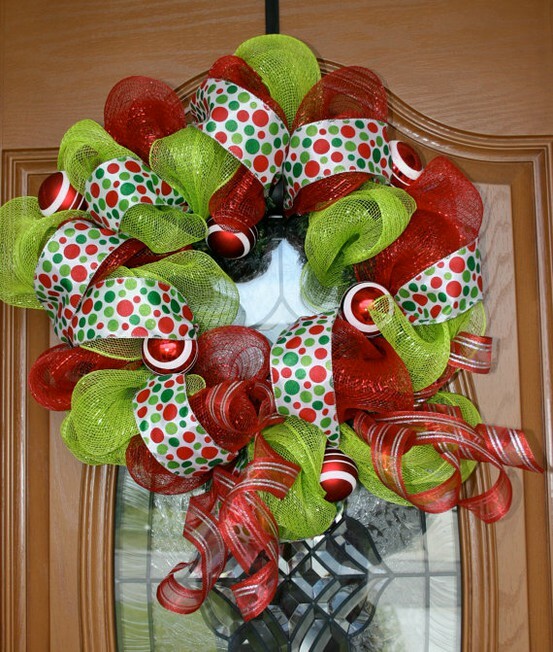 I didn't realize you could make one with this type of wreath. Hobby Lobby and Michaels have been out of the wire wreaths for a while. I already had the deco mesh. So now I can make mine! Thanks again. Awesome! Glad my little tutorial could help! You did a great job using an old wreath that you already had! That's what I want to do. Thanks for the idea! 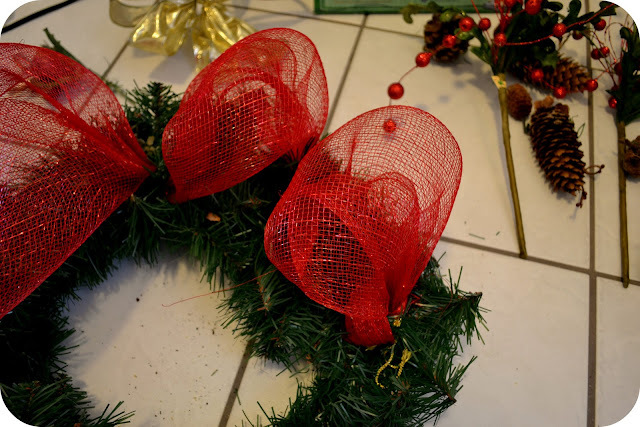 I have a couple old wreaths I just stripped. 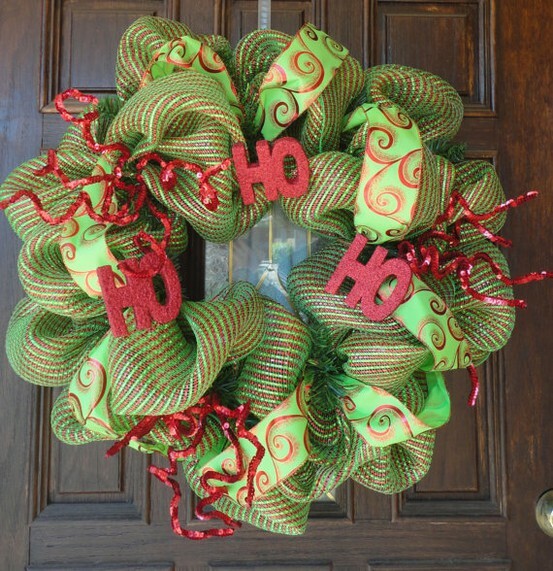 I'm about to use wreaths as you did. Great job! I love how you reused what you had and turned it into unique piece of art.